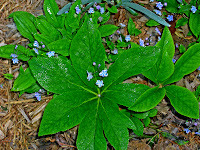 Old-fashioned Brunnera macrophylla is a beautiful groundcover that has bright blue flowers in April (or March, this year). But I like 'Hadspen Cream' for dual interest in a shady bed. 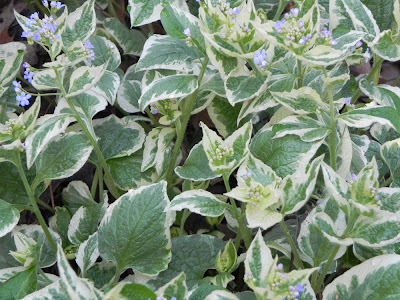 This cream and green beauty grows under a foot tall, can take deep to dappled shade, and looks good all season long. Until it's established, give it supplemental water when it's dry, especially if it is in more sun than shade. Otherwise, keep an eye out for reversions and clip them out at the base. 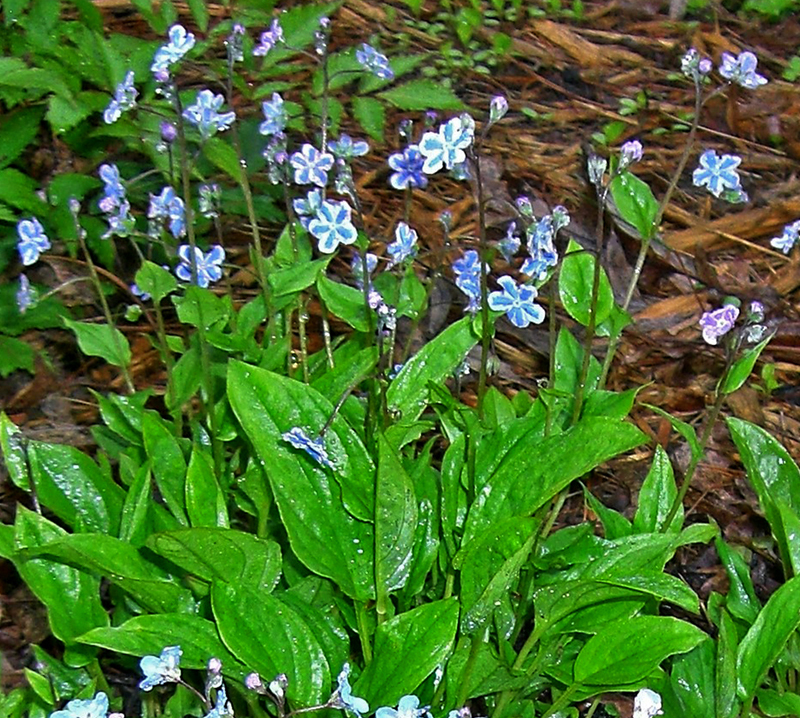 Brunnera happens to bloom at the same time as Omphalodes cappadocica, a little groundcover that likes the same conditions. 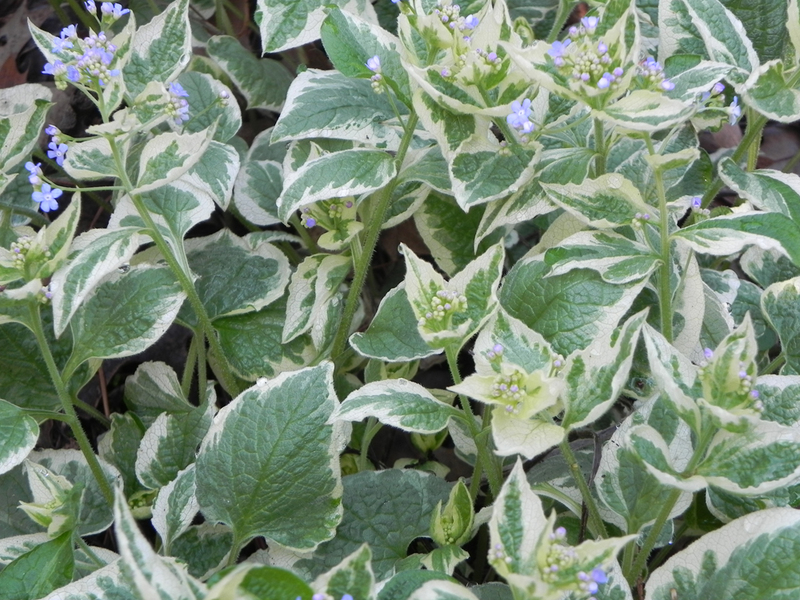 I have the hybrid 'Starry Eyes', which echoes the variegation in the Brunnera leaf, only in its flowers. 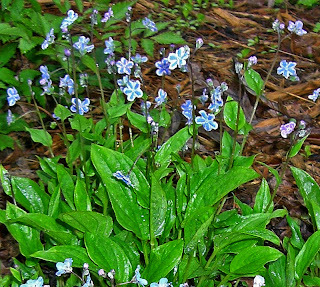 I don't have them right up next to one another, as the Omphalodes flowers would be lost in front of the Brunnera. 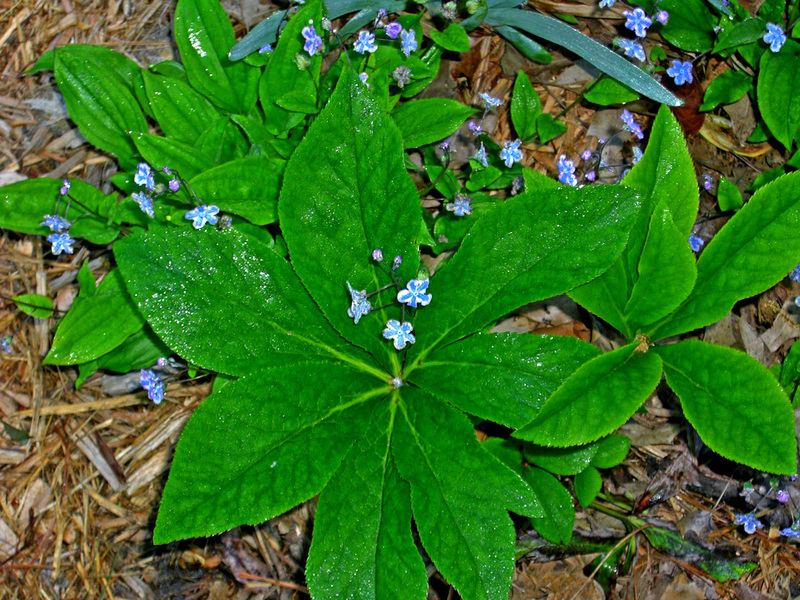 I prefer dark-leaved Astilbe or the substantial leaves of Hellebore for Omphalodes' backdrop, making the little flowers really pop. I love these -- especially since I'm a fan of the true blues. Only wish they did well in my hot, dry climate! Lovely!